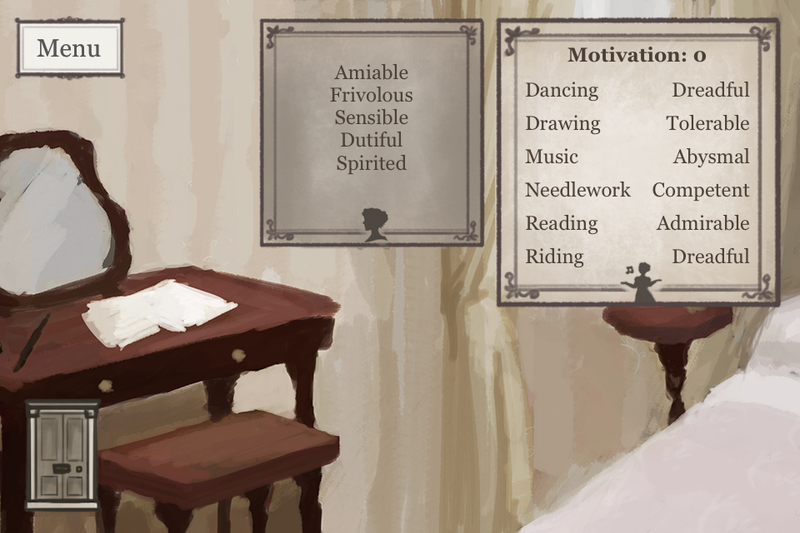 Would you dance, practise the piano, or perhaps embroider a handkerchief? 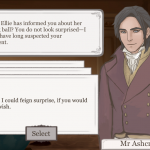 Take tea with your mother, visit an old friend, or ask after a new acquaintance, who just so happens to own a rather fetching waistcoat? 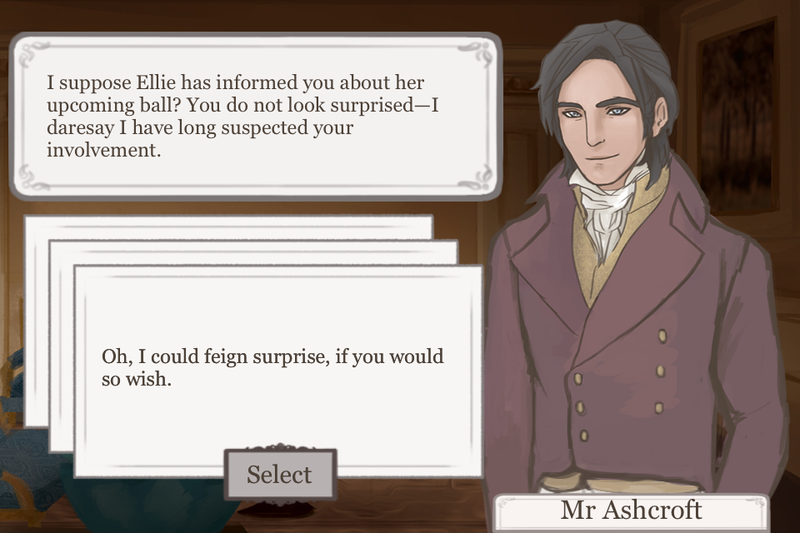 Walk in the woods with a dashing companion, or discuss poetry with a reserved gentleman friend? 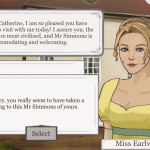 Discover Regency Love: a world of stories, waiting at your fingertips. 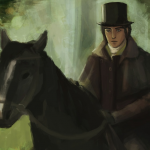 Like us on Facebook and follow us on Twitter for previews and other sneak peaks. 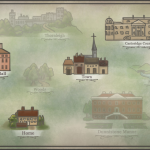 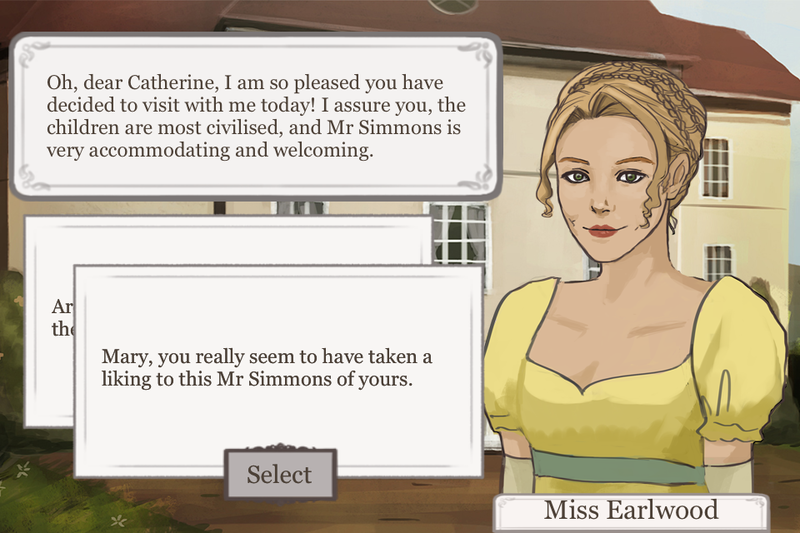 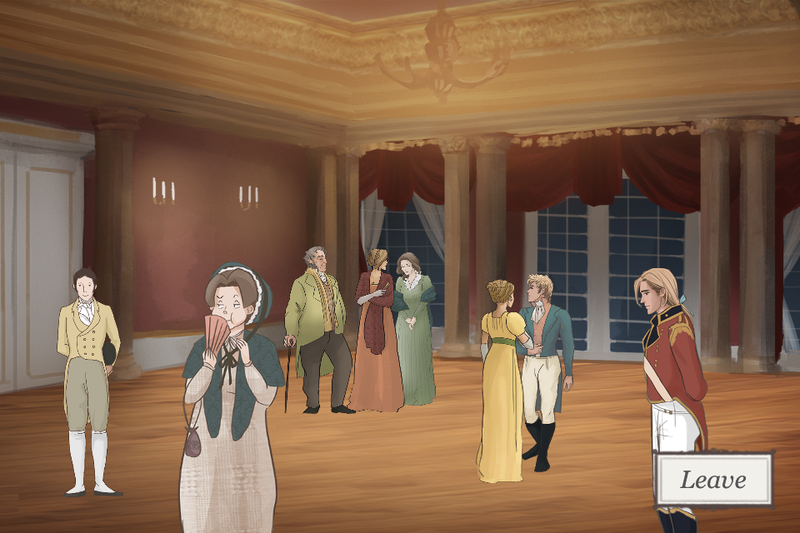 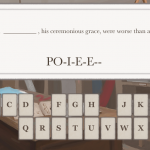 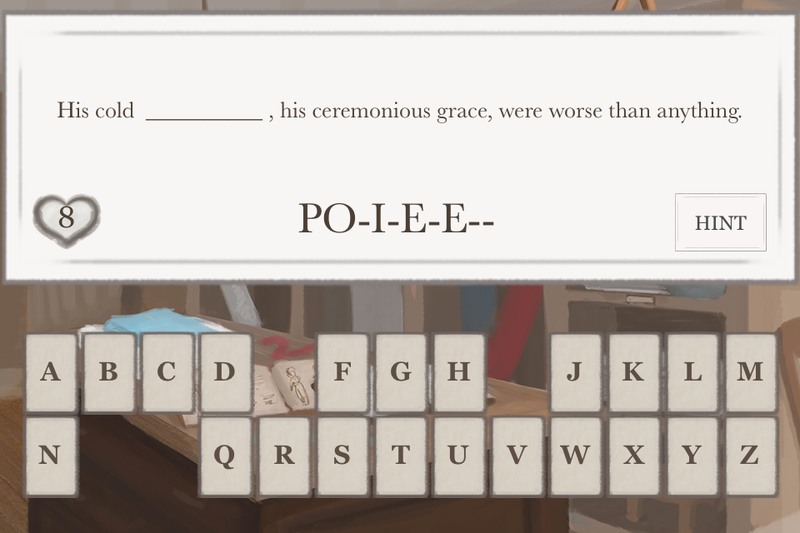 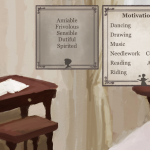 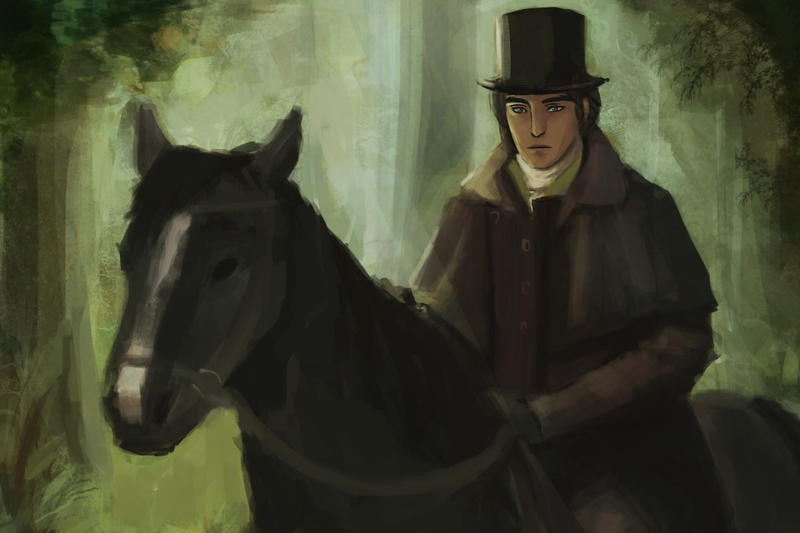 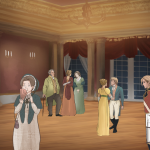 If you have any questions about Regency Love, please check out our FAQ, Wikia, and bugs/typos post. 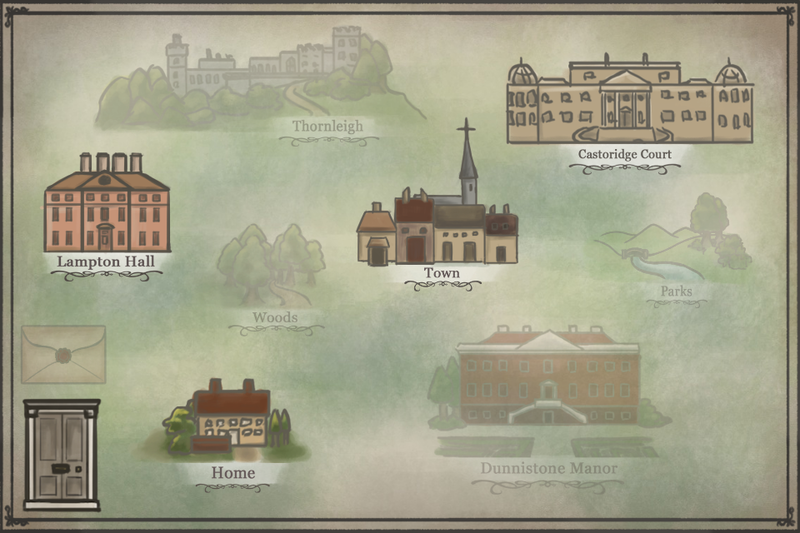 If you would like to know more about our process, we have a video of a conference presentation from July 2015.